Years ago, it was thought that if you just brushed and flossed and went to the dentist, you were set and enjoyed good dental health. And that is still true — mostly. However, the staggering statistic is that a high percentage of Americans today suffer from periodontal disease, or gum disease. Recent studies have shown that periodontal disease, when untreated, can not only cause problems with your smile, requiring restorative dentistry work, but also can affect other parts of your body, as well. This means that getting gum disease treatment is more important than ever. At Hereford Dental Health near Parkton and Sparks MD, we make it our goal to focus on treating and preventing periodontal disease with gum disease treatment. Dr. Longenecker has received valuable training and he and his caring, well-trained team want to make sure you know that they take a more “comprehensive” view of general dentistry rather than just being a fixer of teeth. We want you to enjoy good overall health and have superior protocols that can help us partner with you should you need gum disease treatment. 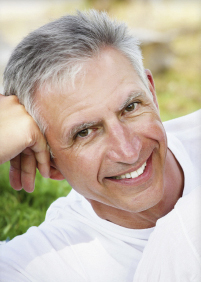 Here are some of the problems people with some form of periodontal treatment encounter. Recent studies have shown that there is a link between gum disease and cardiovascular disease, such as heart disease, clogged arteries, stroke and bacterial endocarditis. There is evidence that gum disease bacteria can enter your bloodstream and travel to your heart, which then affects your entire cardiovascular system. Getting appropriate gum disease treatment can give you better overall health. Gum disease has been linked to premature birth. Gum disease treatment can be helpful to ensure your baby is born at a healthy weight. Diabetes and periodontal disease seem to inter affect one another, often exacerbating each malady. In some cases, one of the first signs of HIV/AIDS is some form of gum disease and getting this checked can lead to a proper diagnosis and gum disease treatment. Periodontal disease can be one of the early signs of bone loss, so seeing your dentist regularly can be a good step in catching osteoporosis. Dr. Longenecker and his caring team want you to be healthy throughout your life. Our Monkton dentist office also serves the Parkton and Sparks MD areas. Call or visit today and we can partner with you to bring you the good health you desire.